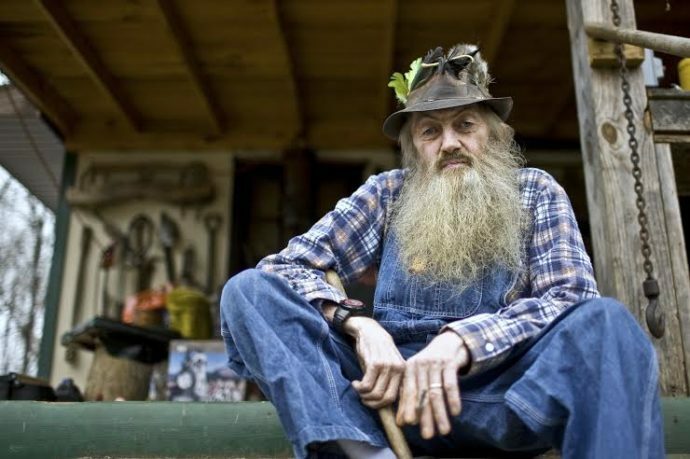 Anyone who calls themselves a ‘shiner surely knows about Popcorn Sutton and his legendary moonshine. The godfather of modern-day home distillation and moonshine production, Marvin “Popcorn” Sutton was a rebel at heart and a true believer in the old ways of making white whiskey. This recipe is based on his renowned moonshine that uses both sugar and corn meal to make the timeless Tennessee spirit that the man used to sell from the back of his legendary truck. A simple recipe from the Master himself: Popcorn Sutton! Add 1 gallon of water to the pot and bring it to boil. Add cornmeal and cook, don’t forget to stir occasionally. Remove the heat and let the cornmeal cool down some, then add the remaining water, then mix in the sugar and ground malt. Transfer mixture into the fermenter, let it cool to room temperature then add yeast. Let the mash ferment completely until no visible activity can be detected. Rack the wash off the yeast sediment with a siphon tube into the still's boiler. Distill the wash as normal. Classic Popcorn Sutton mash undergoes open fermentation, so just need to cover the bucket with a cheesecloth and let it ferment. More cautious folk are concerned the mash might get infected with wild yeast or bacteria. We are of that mindset and recommend using a proper fermentation bucket with an airtight seal and an airlock in place. Preferably use a copper pot still for this one in order to keep it true to the way Popcorn Sutton used to do it. Manage the cuts thoroughly, as you’re aiming for the very hearts to get that legendary moonshine flavor. Adjust recipe to size of container. Cornmeal should equal about half or less of container. Make sure you’re well prepared to perform this run! The biggest difference with this recipe is the open air fermentation (if you want to keep it true & traditional). This is a bit less sanitary but can be done safely if you keep the wash indoors and keep it covered. Also, you want to be positive you’re not letting any airborne elements get into the wash. We’ve all seen the boys on Moonshiners let their vats open to the wild while they ferment. Realistically though this makes it extremely likely animals and all the bacteria that come with them will sour your batch. Even if you have your fermenting bucket indoors, cover it with a breathable (unbleached) cheesecloth, please! Popcorn always insisted that copper brought out the best in his ‘likker. If you want to compare your options for stills to use, be sure to check out our guide on the best moonshine stills! The cornmeal in this recipe makes quite a bit of sediment in the bottom, and when it’s time to rack off the liquid into the still you want to avoid as much of that as possible. It’ll cook onto the inside of your still and it’s hell to clean off afterwards.